When trying to switch to a Microsoft account in PC Settings on Windows 8.1 and Windows 10 Technical Preview, it tells you “We’re sorry, but something went wrong. 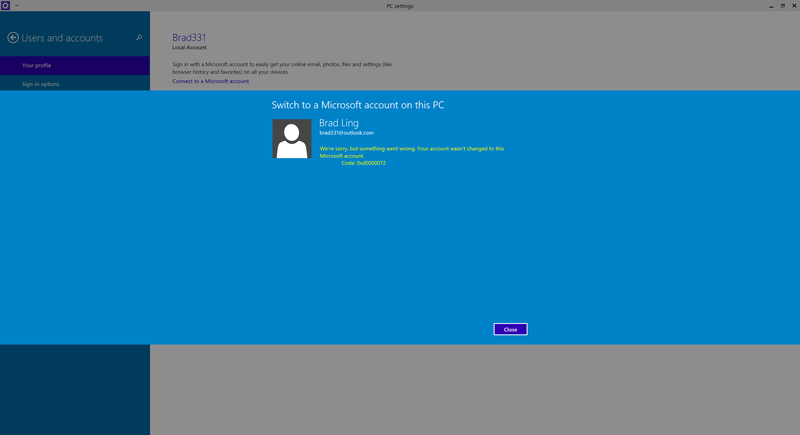 Your account wasn’t changed to this Microsoft account. Code 0xd0000072”. Simply change your screen resolution to 1024×768, and try switching the account again. Of course, you can change it back when you’re done.